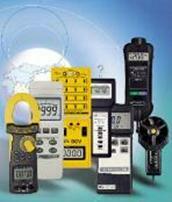 Digital Stroboscopes | Test and Measurement Instruments C.C. 100 to 20,000 RPM High Intensity, Red LED readout. Stroboscopes are used for inspection and observation of moving parts by freezing or slowing down the action of a moving object. Some Instruments include a digital tachometer, as seen above. The term "stroboscope" is an expression derived from the Greek for an instrument for the observation of single phases of fast, periodic movements. If a fast rotating or oscillating object is illuminated with periodic light flashes so they always hit it in the same position, the object will appear stationary in the eyes of the observer. 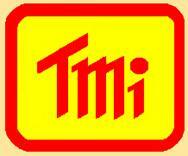 Industrial applications include printing and textile machines. Aviation and automotive industries are also consumers of these products. Stroboscope / Photo Tachometer. Dual Type. 100 to 99,999 RPM/FPM Flashes p/m on Strobe, and 0.1 to 100,000RPM on Photo. 3 Flash adjust Ranges. Combo Stroboscope / Photo Tachometer. 5 Digit LCD Display (99999). Ranges: 100 to 99,999 FPM On Strobe, and 10 to 99,999 on Photo. 100 to 99,999 RPM/FPM Flashes p/m, Battery powered with built in AC adaptor input, adaptor is optional. LED Stroboscope. 3 to 300,000 Flashes per minute. High Intensity, high efficiency. Rugged, 1 metre drop proof. Simple push button operation. 100 — 10,000 RPM/Flashes per minute with 10 mm Red LED display & Xenon Flash Tube.